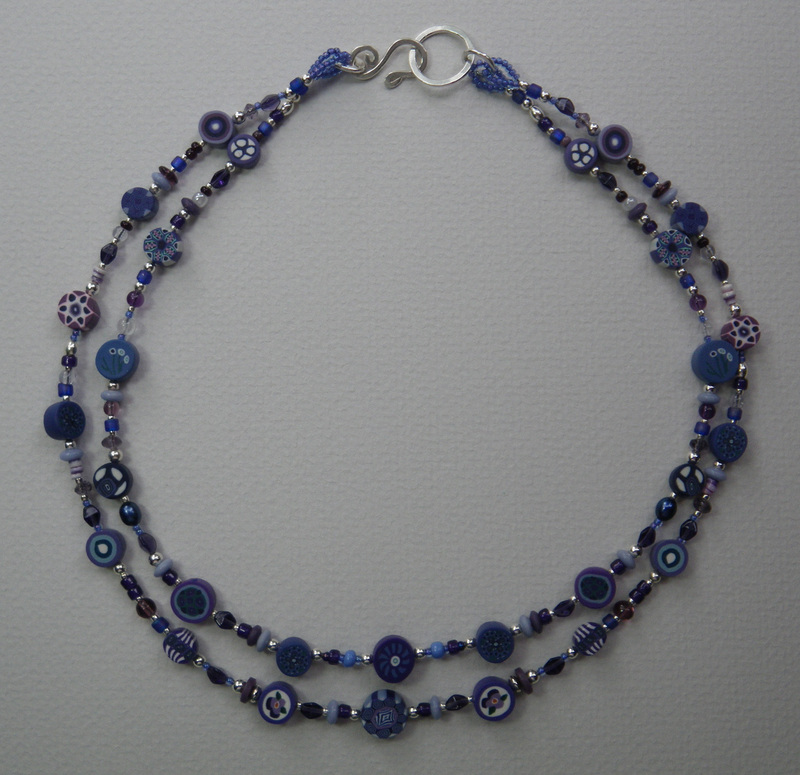 So, I gave it a whirl with updated versions of some necklaces I used to make. I’ve run into several people lately who were wearing earlier versions of these designs. 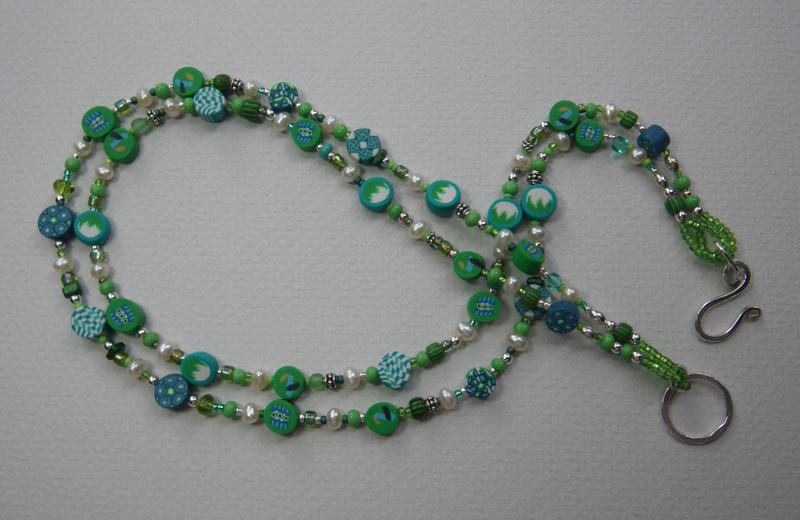 They all said, “You know, I still get comments on this necklace.” I thought I would try a few on my Etsy site and in some of my summer time galleries. 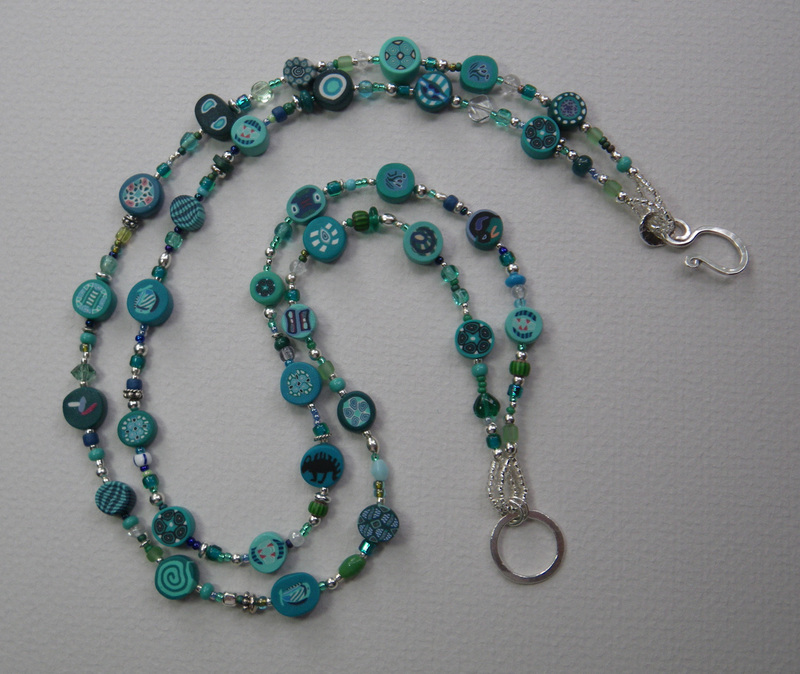 It might be a step backward, but I keep dreaming about polymer clay and all of the new techniques that are around since I made these beads 15 years ago. 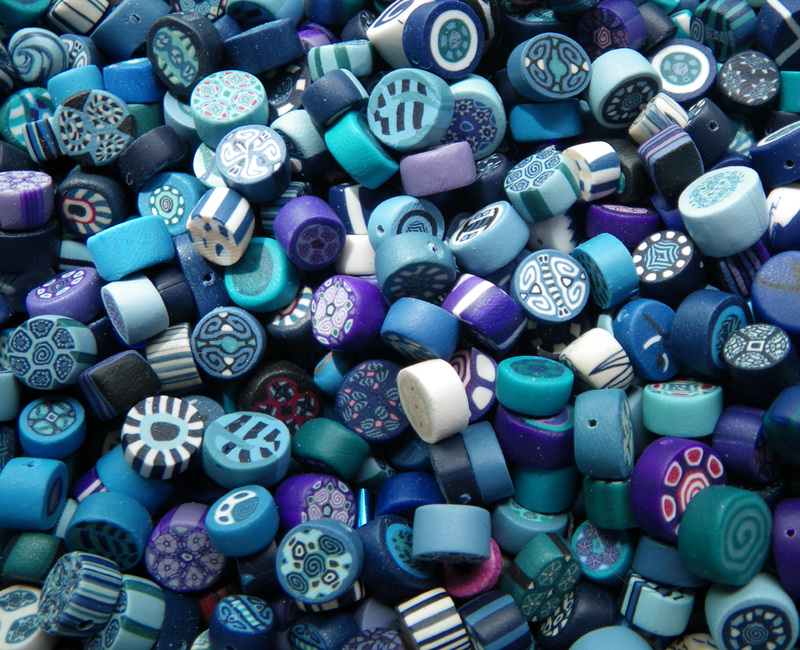 Maybe playing with these beads will head me in a new direction of polymer clay beads to combine with metal clay. HOLY COW!!!!! i knew you were involved with polymer, but i didn’t know you were THAT involved!!! those are lovely necklaces AND that cane/cylinder shape is an obvious pairing with the lentils, i think….have you tried that? I haven’t tried pairing them with the lentils yet. It’s a good idea. 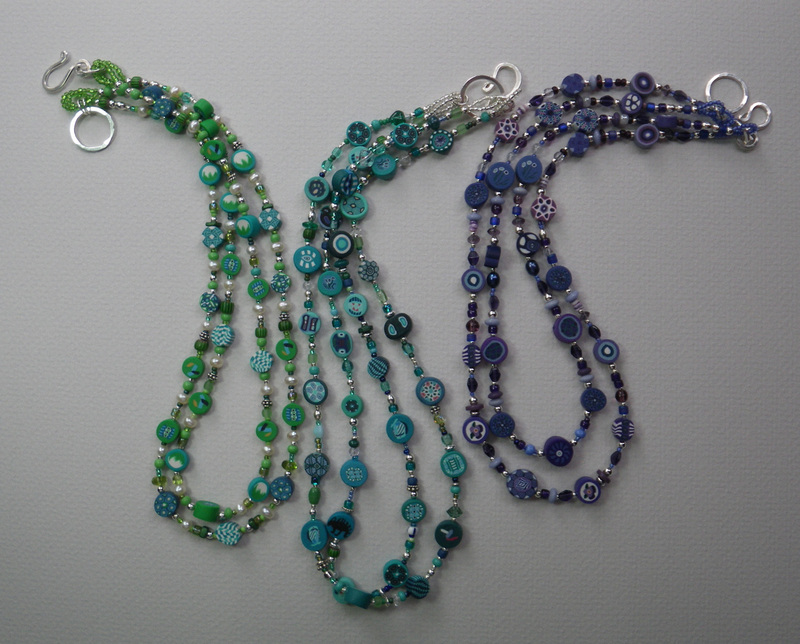 I’m just getting into the idea of using these again, though I would like to make new ones in more subtle colors. Yeah, I was a fanatic about making canes and beads when I first started out. Then along came metal clay……. did you know that i meant the pmc lentils? i went back there again today to remember how to rehydrate the coffee-grinder powder…i need more clay for my charms and don’t want to open my “emergency” pack of pmc! 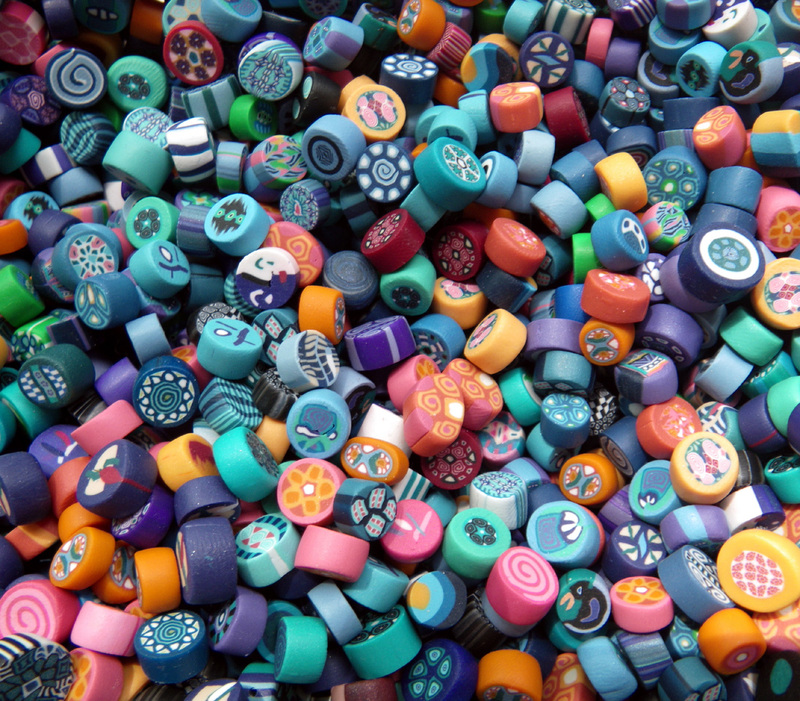 I just stumbled across a large stash of polymer clay elements myself. Once I got my hands in metal clay, my passion for polymer just…disappeared. And, I had been cranking out a huge volume of polymer clay work just prior to that turning point. I’m looking forward to Celie’s class to learn cool ways to incorporate the two materials. I can’t wait until September and Celie’s class together. I wonder how many of us who are now working with metal clay, started with polymer. I think the class will renew my interest, in a new way. Meanwhile, the charms are finished and I’m off to Manchester, N.H. tomorrow so I can catch a really early flight on Thursday a.m. See you soon!